If you haven't visited yet, be sure to check out our wheelchair accessible Boardwalk to Lake Apopka. 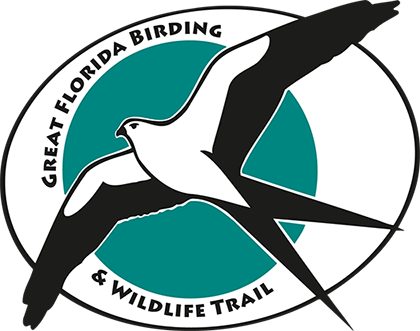 By far our most popular trail, the Boardwalk is 2/3 mile long through mostly shaded wetlands, to a large, covered pavilion overlooking Lake Apopka. The boardwalk features interpretive signage along the way to identify plants and trees, and offers many opportunities to see alligators, wading birds and turtles. Lake Apopka was once the 2nd largest lake in Florida in the late 1800s, and used to be known as the bass fishing capital of the southern US. Visit our HISTORY page to learn more about the history of Lake Apopka. If you see me next to a sign, that means the plant is an INVASIVE EXOTIC.